Archie Blue, an unremarkable Detective Inspector in an unremarkable West of Scotland town, is fighting a seemingly losing battle with a new and brutal crime baron. However, his life changes dramatically when, in the space of a week, he suffers a dreadful personal tragedy, potentially he becomes a murdered and he meets a girl who claims to be an alien... Over the next few days, Archie and Farspace Commander Kharalaya 7 Calfarr form an unusual, fraught and occasionally physical alliance as they try to recover an alien weapon deposited on earth and constructed with one objective - genocide! In the process, Archie is forced to spin a web of lies to his Detective Sergeant (and good friend) Cameron Wilkie, as well as coming to question his own integrity and, indeed, his sanity. 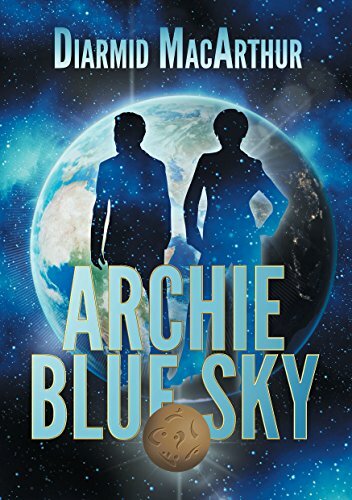 Finally, as Archie and Khara realise that they are not alone in their search, he finds himself embroiled in an alien civil war, in space with a mortally wounded alien girl and faced with the toughest decision of his life!